Fitness Alive's new location is at 1425 Arch St. in Center City. 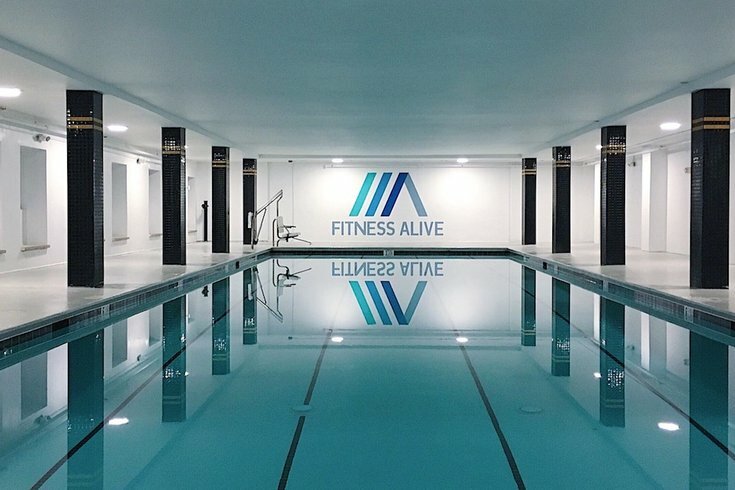 If swimming laps sound like the perfect way to unwind after a long, hard day at the office, then here's a news splash: Fitness Alive will soon open its new Center City pool (1425 Arch St.) — the only fitness-focused pool in that area. While Fitness Alive is, by no means, new to the Philadelphia fitness scene — they’ve been going strong in South Philly’s Fitness Works (714 Reed St.) since 2014 — this beautiful new four-lane pool is a part of the company’s evolution. What started as a small personal training and swim instruction operation is now a team of 20-plus coaches and staff hosting more than 35 small-group instructional swim lesson, private and semi-private swim lesson and special events weekly. Fitness Alive Center City will be home to similar offerings, plus a few exciting additions like land-and-water aerobics classes and lap-swimming memberships. Get a taste what the new location will offer on the weekend of March 16 and 17, during a grand opening soiree to debut the new pool and introduce classes to swimmers of all ages, including kid- and adult-friendly classes. It’s worth noting that you will need to register ahead of time for these classes via the links for each time slot. Registration will open at 10 a.m. on Friday, March 8. Folks who attend the grand opening will also have first dibs on the $75 lap-swimming memberships they plan on offering. The first 75 lap-swimming memberships sold will be $75 per month and will come with daily exclusive lap-swimming hours — including morning, lunchtime and evening options during the week, as well as weekend hours — and unlimited group fitness classes in the water. After grand opening weekend, the price for this monthly membership will bump up to $95. Class packages will also be available for Fitness Alive’s water-based fitness classes; a 10-class card will run you $200. After grand opening weekend, programming for the new pool will begin April 1.